TM is basking in the limelight. Yesterday, 12 July, the telecommunications company announced a slew of new additions to the Unifi range of packages, including a budget plan and free upgrades for existing users. The one announcement Malaysians can't stop talking about is the Unifi Basic plan, a wallet-friendly package at RM79 per month for 30Mbps speed and 60GB quota, applicable for families with monthly household incomes under RM4,500. "Great news for Broadband! 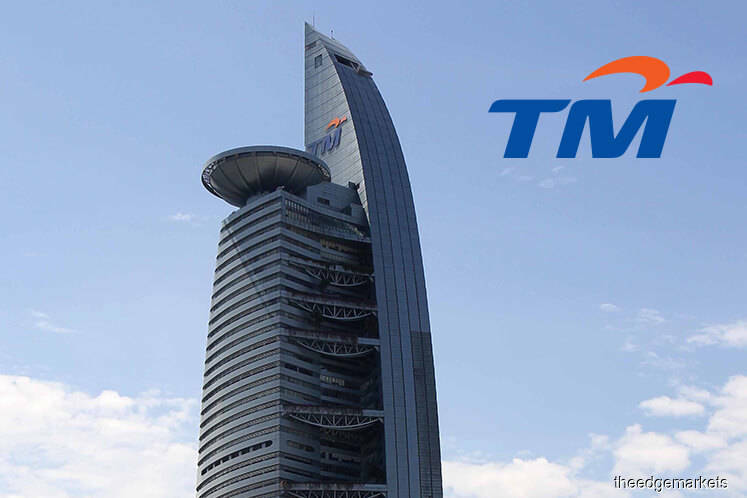 Congrats to TM for taking a bold step in bringing Malaysia up to speed. #tabikspring #respect" the company wrote in the post currently gaining social traction. Just in case the folks over the other side were too busy to notice, TIME even CC-ed TM and Unifi in the post. "Ball's in our court. Stay tuned everyone." 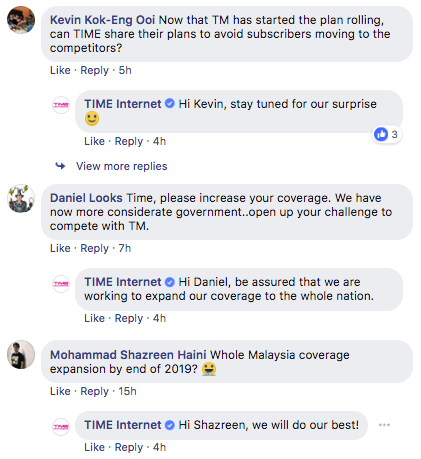 Netizens have started leaving comments under the post, asking TIME what it would do to counter TM's offerings. Some also took the opportunity to challenge TIME to step up their game. 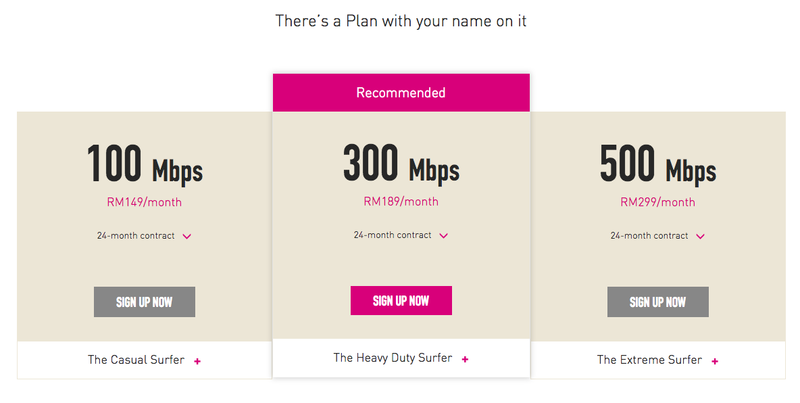 In comparison, existing Unifi subscribers after receiving their Turbo upgrades will see them paying RM129/month for 100Mbps (current Unifi 10Mbps), RM179/month for 300Mbps (current Unifi 30 Mbps), RM249/month for 500Mbps (current Unifi 50Mbps), and RM329/month for 800Mbps (current Unifi 100Mbps). Interesting times. Let's see what you got, TIME.